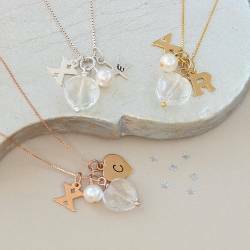 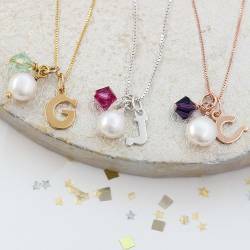 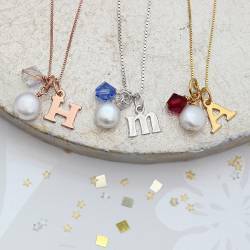 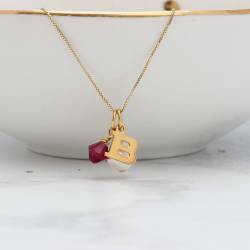 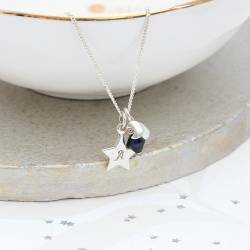 For birthdays, bridesmaids and new baby celebrations, this Personalised Swarovski Crystal Birthstone Charm Necklace ticks all the right boxes. 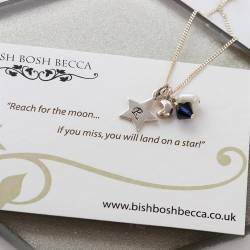 Bespoke and beautiful, it is the perfect jewellery gift. 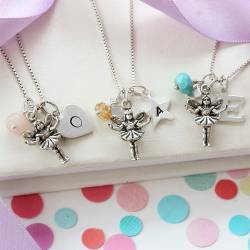 This delicate sterling silver fairy charm necklace can be personalised with alphabet charms and a birthstone gemstone to celebrate the life of a child. 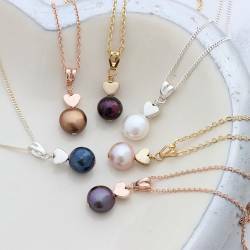 A delicious mix of subtle and warm deep rich gold and brown freshwater pearls and gemstones are used to create the clusters which fall from the knots on this black leather lariat necklace. 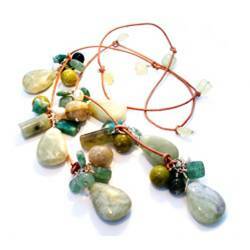 A soft and gentle combination of greens from the soft pale moss-green of the serpentine teardrops to the deep rich turquiose of the russian amazonite. 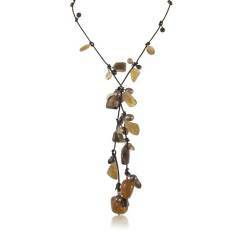 This is a gorgeous everyday leather lariat. 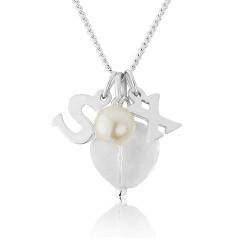 The necklace has a sterling silver coin with white ivory freshwater rice pearls on a sterling silver chain. 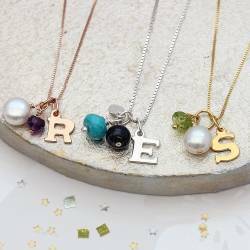 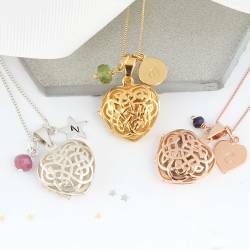 A lovely jewellery gift. 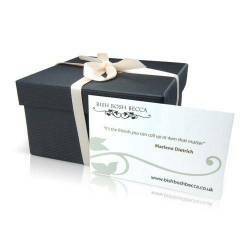 For birthdays, weddings, graduations or Christmas. 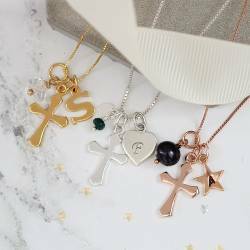 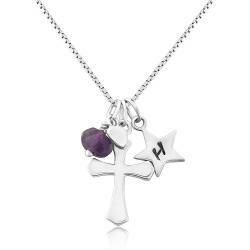 A personalised sterling silver cross necklace with a gemstone heart charm in pink rose quartz, clear quartz or red garnet. 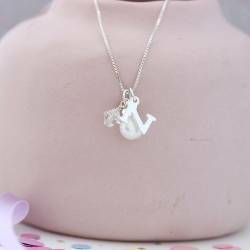 A lovely gift for a christening, baptism or confirmation. 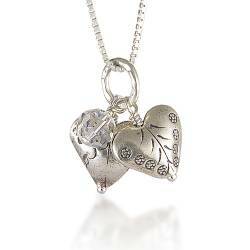 Very pretty and delicate silver heart necklace with pearls and crystal. 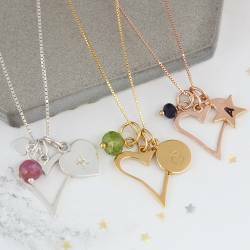 A lovely gift or perhaps a present for your bridesmaids to match your wedding colour scheme.